Unique Identity Number (UID) or Aadhaar, the 12-digit number issued by the UIDAI, is now a must for putting your money in any of these savings schemes. If you want to open a post office account or invest in the National Savings Certificate (NSC), Public Provident Fund (PPF) and Kisan Vikas Patra (KVP) schemes, you have to compulsorily produce your Aadhaar. Unique Identity Number (UID) or Aadhaar, the 12-digit number issued by the Unique Identification Authority of India based on your biometrics, is now a must for putting your money in any of these savings schemes. 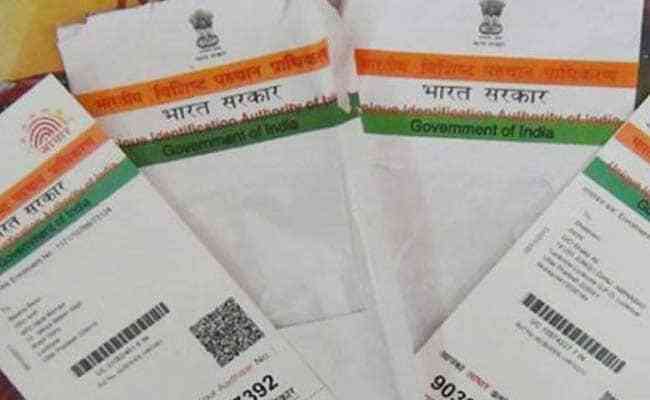 Those who do not have an Aadhaar card or number as yet can quote the EID or enrolment identity number of their Aadhaar application, the government has said. Existing depositors can update their Aadhaar number till December 31, 2017, said a notification issued by the Ministry of Finance. 1) The Ministry of Finance has issued four separate Gazette notifications making Aadhaar - the 12-digit number given on Aadhaar card - mandatory for all post office deposits and investments in PPF, NSC scheme and KVP. 2) "Provided that where Aadhaar number has not been assigned, the depositor shall submit proof of application of enrolment for Aadhaar," said the notification dated September 29. Existing depositors who have not provided Aadhaar number at the time of application for such deposit "shall submit his Aadhaar number to the post office savings bank or deposit office concerned, on or before December 31, 2017", it added. 3) The government has insisted on quoting of Aadhaar for obtaining or maintaining bank accounts, mobile phones (SIMs) and several other utilities to weed out benami deals and black money. 4) Last month, the government extended the deadline for obtaining Aadhaar for availing government schemes and subsidies by three months to December 31, 2017. Earlier, those who did not have Aadhaar were asked to procure it by September 30. 5) As many as 135 schemes (of 35 ministries) including the free cooking gas to poor women, kerosene and fertiliser subsidy, targeted public distribution system and MGNREGA (Mahatma Gandhi National Rural Employment Guarantee Act ) will be covered by the extension.